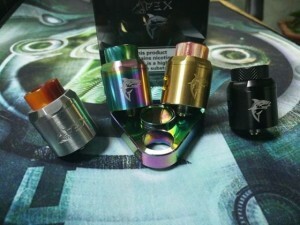 After several months of testing and perfecting, the APEX RDA was born. Equipped with massive Hexagonal Prism shape posts, which we call the “Hex Deck”, that can accommodate an unparalleled variety of builds and configurations. The first of its kind, the Hex Deck features three terminals on each post. The lateral holes are massive 3mmx3mm, capable of supporting most gauges. While the top holes are 1mmx3mm, and are better suited for flat wire builds. Giant screws make tightening easy, and make stripped threads a thing of the past. Twin-Cyclops adjustable air flow control, allows fine tuning for bottom-direct or upper-direct flow. 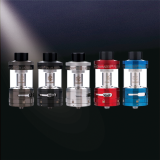 A brilliant system, which can be customized for flavor, clouds, and even tricks. 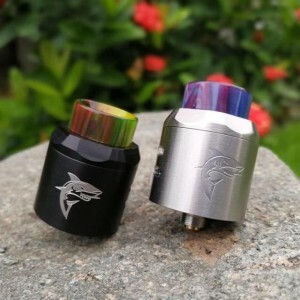 Plus, a plethora of 810 Drip Tips, including the Diamond Knurled Delrin Wide Bore Tip, and Randomized Resin Tip make personalizing your device easy. A 510 Adapter is included for the traditional users too. The APEX was inspired by the evolution and perfection of the great white shark. A true apex predator, that stands unchallenged in the ocean! 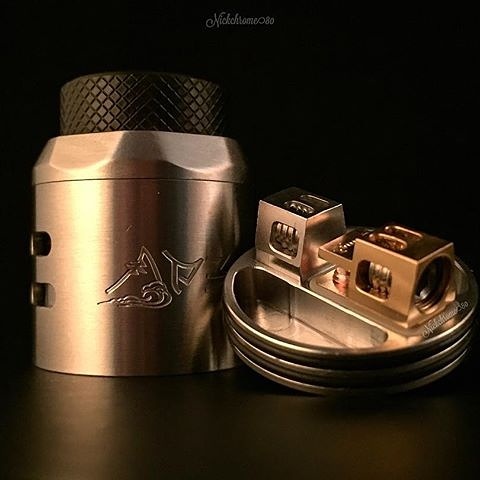 Our Apex RDA has been perfected, to deliver the ultimate vaping experience, and to stand at the pinnacle of our evolving industry. “Hex Deck”, Dual Hexagonal-Prism shape, two-post configuration, with huge 4.3mm diameter screws. 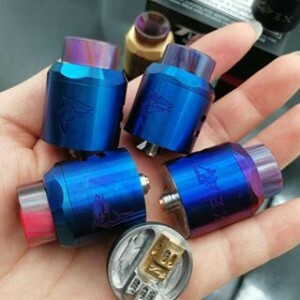 Supports single to quad-coil builds. Each post features a massive 3.5mmx2.5mm side post hole, and two 1.5mmx3.5mm top post holes. Twin Cyclops Dual Airflow system. Fully adjustable, with one of the widest flow ranges on the market. From cloud chasing, all the way down to MTL. 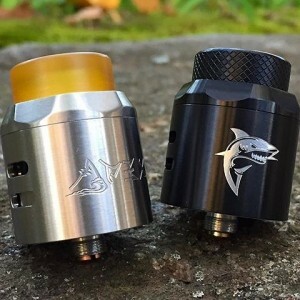 Uniquely machined airflow control cap, that’s both stylish & functional. 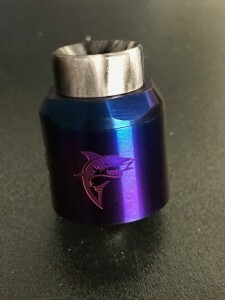 Offering better grip when adjusting or removing cap. 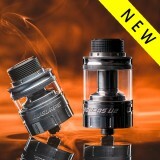 While conical inner top cap, increases flavor and promotes smoother pull. Raised bottom feeder pin, with spray guard milled into the positive post. Optional Copper 510 pin included. 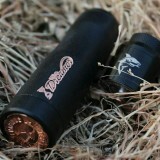 810 compatible, with Diamond knurl wide-bore black Delrin, wide-bore PEI, and randomized Resin tips included. 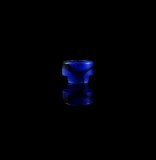 Plus, a 510 drip tip adapter. Micro-fiber cloth for keeping Apex and parts clean. Extra screws, o-rings included.